The Spokesman-Review and Yoke’s Fresh Markets are sponsoring a recipe contest in conjunction with the upcoming Dorothy Dean Home Cooking Show. Dorothy Dean was the pen name for Food editors who ran the Dorothy Dean Homemakers Service at The Spokesman-Review from 1935 to 1983. The newspaper’s home economics department produced an “Ask Dorothy Dean” column, hosted cooking demonstrations and operated a free telephone hotline for on-the-spot cooking advice. But, it’s best known for a subscription service through which recipe leaflets were mailed to home cooks who collected and treasured them in special navy or forest green three-ring binders. 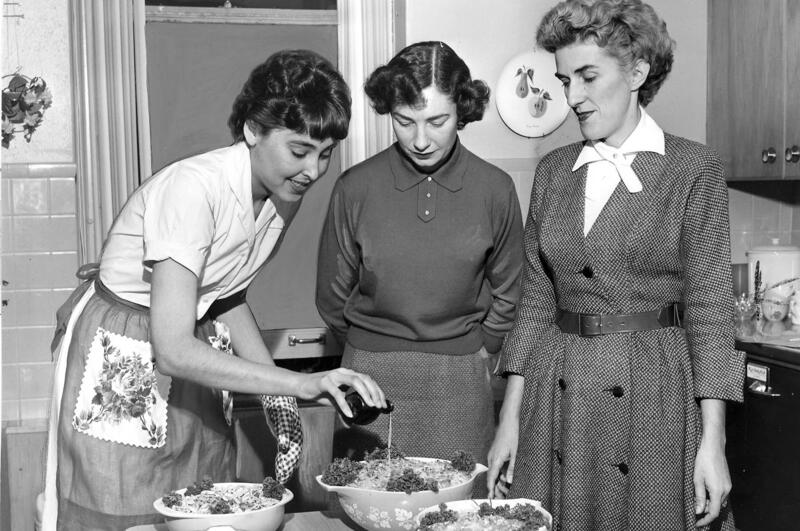 Dorothy Dean offered recipes that were budget-friendly and easy to prepare. Instructions weren’t elaborate, usually running just a few lines. That no-nonsense, three-hole-punch approach to home cooking endured through the war years and baby boom and past the Summer of Love until the service was suspended in 1983. Executive editor Rob Curley revived Dorothy Dean in early 2017. Since then, the newspaper’s weekly Food section has been re-running vintage Dorothy Dean recipe leaflets as well as a modern recipe inspired by Dorothy Dean’s straightforward approach. Now, the Food section is looking for recipes that pay homage to Dorothy Dean and her accessible cooking methods. Recipes can be entered in two categories: sweet and savory. They must be original creations. But, they can be adapted from a favorite Dorothy Dean recipe. Each entry should include instructions, ingredients, photos and a brief description of how the recipe embodies the spirit of Dorothy Dean. If recipes are adapted from Dorothy Dean, they should include the vintage recipe along with the contest entry. Recipes must arrive by April 27 and should be sent to Spokesman-Review Food editor Adriana Janovich via email at adrianaj@spokesman.com or P.O. Box 2160, Spokane, WA 99210. Two winners will receive VIP tickets to the Dorothy Dean Home Cooking Show, which will be held May 12 in downtown Spokane. More information about that event is coming soon, so stay tuned. Published: April 3, 2018, 3 p.m. Updated: April 3, 2018, 3:07 p.m.